Haddonfield resident Leona Davis has spent 21 years in the Washington Township Public Schools putting a song into the hearts of her students. Now, through her non-profit floral repurposing service “Forget Me Knot Flowers,” the Bells Elementary School music teacher has found a way to bring a different kind of joy to a different generation. While planning her daughter’s wedding last year, Davis was disturbed to think that the beautiful and pricey flowers that would be adorning the celebration would likely be trashed shortly thereafter. 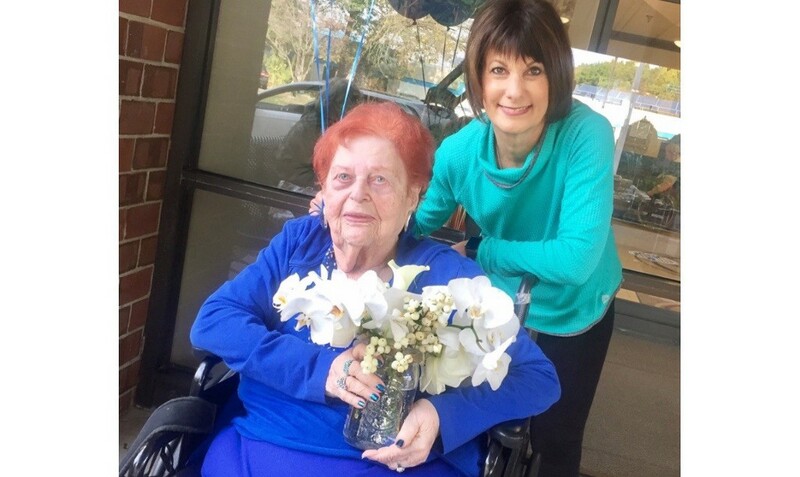 Davis and her team now work with couples, event planners, florists and grocers to share the love-filled power of recycled flowers to ensure those in nursing homes, care facilities, shelters and local hospitals are not forgotten. Now 1,000 bouquets in, blooms of joy have been distributed to a number of organizations in the tri-state area, including: Ronald McDonald House, Voorhees Pediatric Center, Wiley Mission, Inspira Traditional Care Unit, Voorhees Care and Rehabilitation Center, Abigail House, Spring Hills, Women Against Abuse and the Camden County Women’s Center. To learn more about Forget Me Knot Flowers, please visit www.forgetmeknotflowers.org, and follow them on Facebook.